The week is just about over and it's almost time for the weekend. To be honest with you only just realised how far into January we are already. Like I knew but I wasn't really paying that much attention lol. Well, we all know it's that time of the week again on my blog! 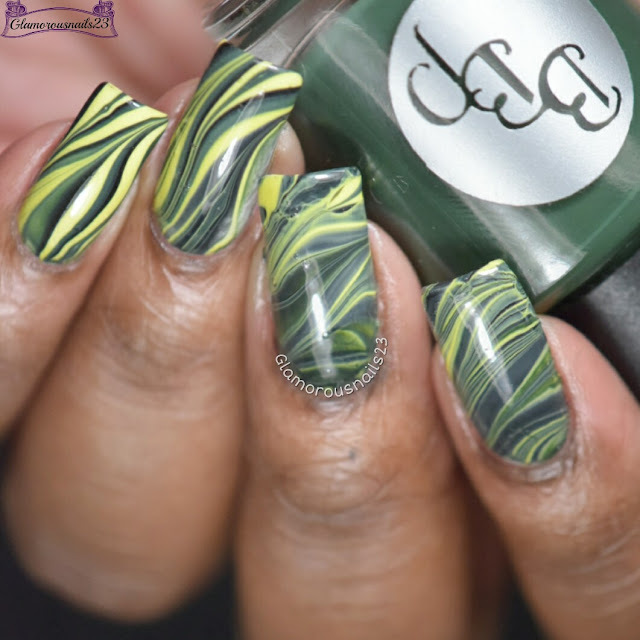 Watermarble Wednesdays! Let's take a look at what I did this time. There's no tutorial this week as it just wasn't happening for me okay guys lol. My pinky and ring finger came out okay for the most part but my middle and index fingers didn't want to come out the way that I wanted them too! I also found that they came out with a somewhat smokey type looking effect in certain areas which I didn't like at first but actually kind of do like it now. The green and the black just seemed to wan to merge together lol. Do you think that you'll be attempting any watermarble nail art this year? Until next time! This is gorgeous - I love the colors together. The effect reminds me of a caterpillar. I love how you always make each nail completely different. Great color combo! Oh, many, I'm an Oakland A's fan, colors green and yellow--this would be soooo perfect to wear to a game!! Now that you said that I can totally see how! Lol. 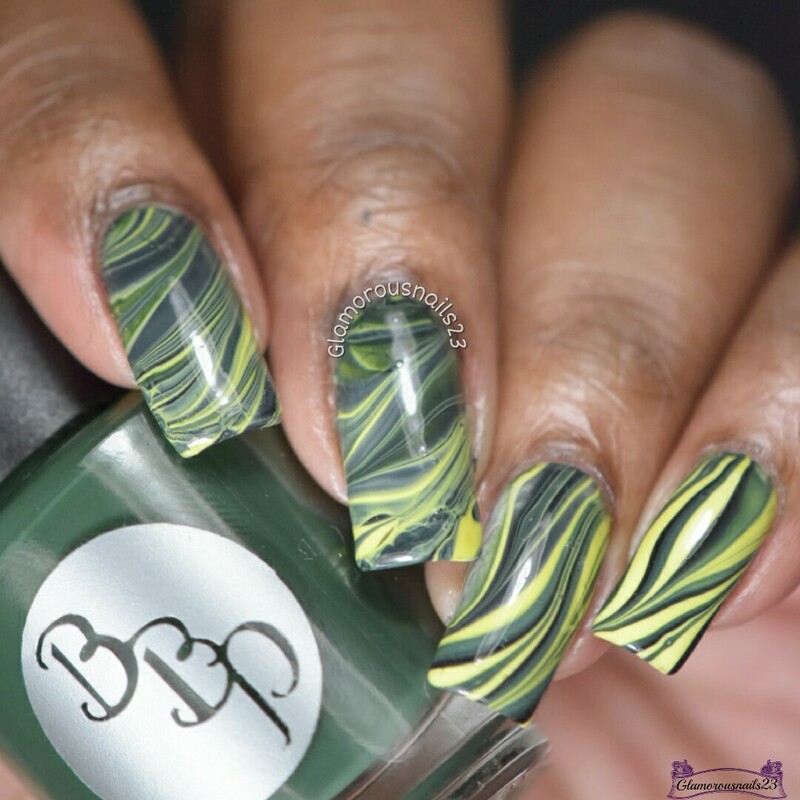 I love the smoky effect, it reminds me so much of malachite! 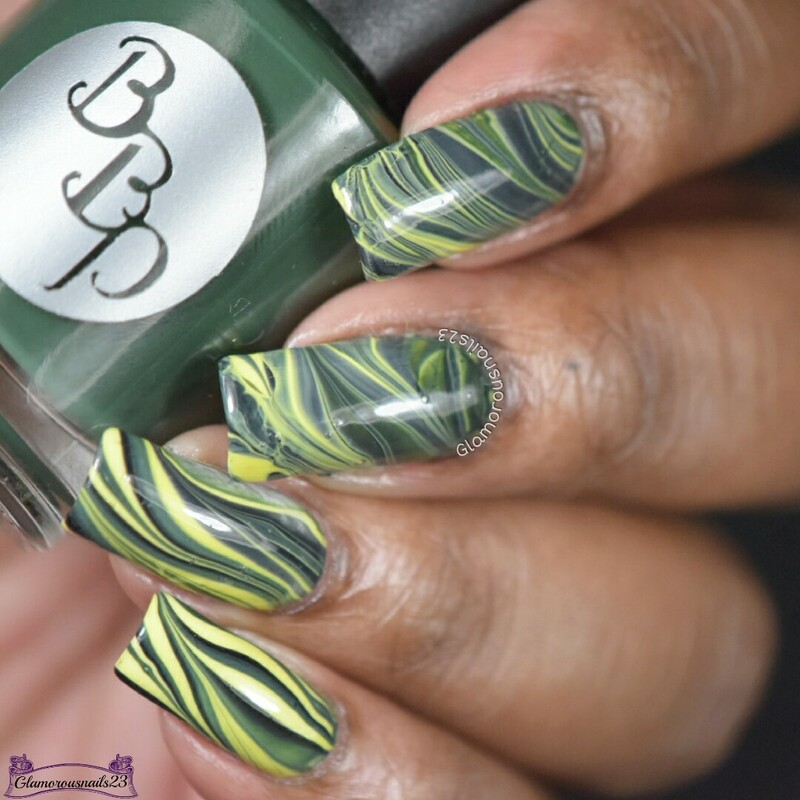 Gorgeous watermarble. These are not my favorite to do, but I love the feeling I get when I get them right! 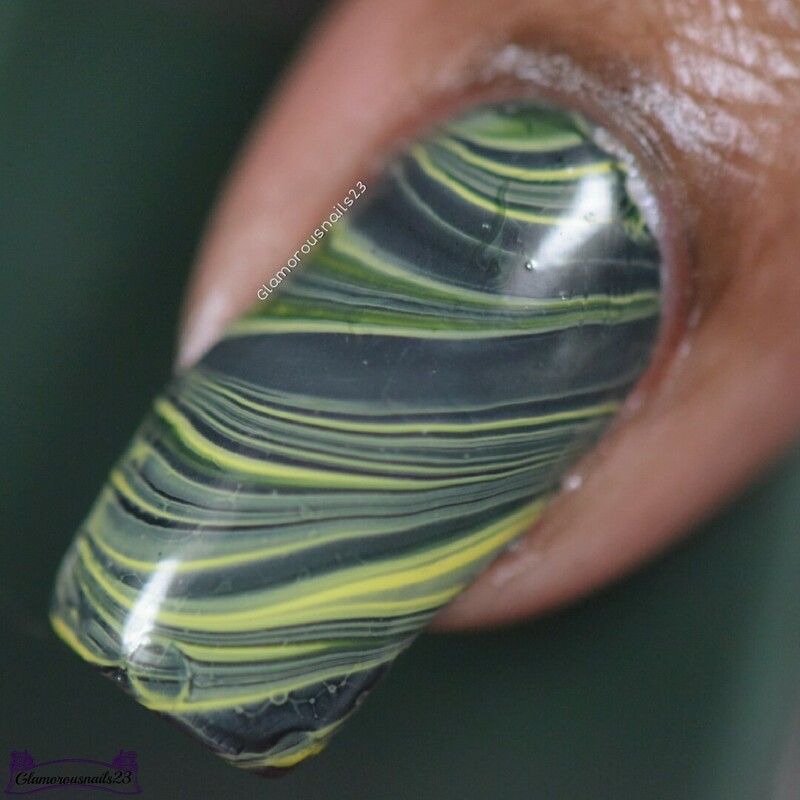 Getting a watermarble to turn out how you want is always the best feeling!